Uni-Q brings you U-Pleat – an impressive style of curtain heading that improves on The Wave, Ripplefold, Soft Pleat, Roll Pleat and others. Have you been in the curtain industry a long time? These are all types of similar and – at this time – more well known headings than ours. It’s our goal, through this website and other marketing channels, to make Uni-Q Curtain Tracks and U-Pleat Drapes just as well known as the above popular brands of curtains Perth. To this end, we ask you to tell your friends and colleagues about Uni-Q and U-Pleat Curtains! 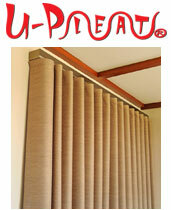 U-Pleat Curtains – Ask for them in store! Help us spread the word and grow our brand! For amazing results, our clients combine U-Pleat with our stunning “half price padded Pelmets”. 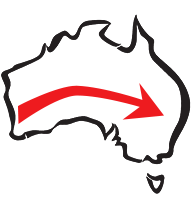 Based in Perth, Pelmets from Uni-Q offer many advantages over other similar products. Get in touch today!